Most people think nothing of paying more than £100 a year to have their car serviced, but many fail to have their gas appliances serviced despite it being less expensive than a car service, a condition of the manufacturers warranty and vital to ensure safe and efficient operation. 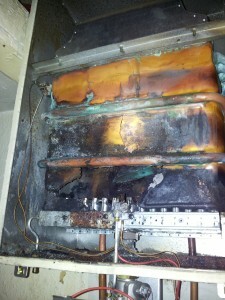 The attached pictures show the burned out heat exchanger on a Multipoint Water Heater which is less than six years old. This appliance has not been serviced since the day it was installed. The first hint to the customer that there was a problem was when the pilot failed to stay alight due to water dripping on it. If the appliance had been serviced regularly, any potential problems could have been spotted and dealt with under the manufacturers warranty. 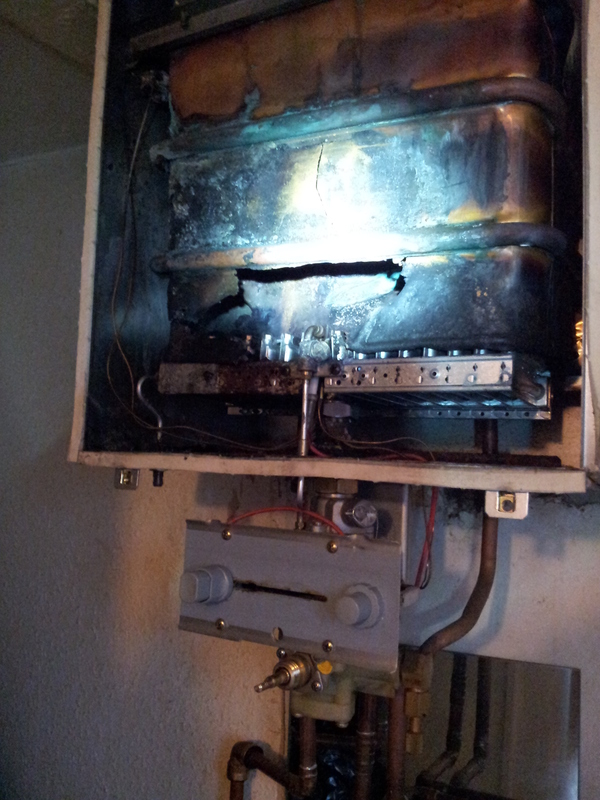 Now it is uneconomical to repair and a replacement unit will have to be fitted at a much greater cost.